1. Purchase a Nick and Jake’s Gift Card at one of our restaurant locations: South Plaza, MO, Parkville, MO or Overland Park, KS. 2. 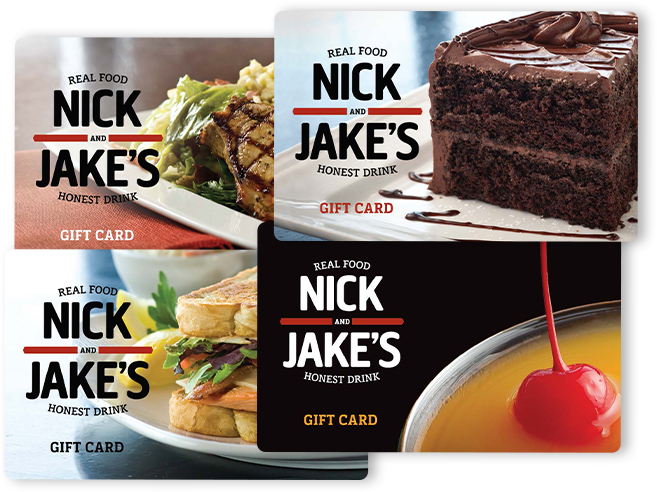 Purchase a Nick and Jake’s Gift Card over the phone. Call 816-421-1111 for South Plaza, 816-584-8535 for Parkville or 913-681-8535 for Overland Park. *Gift cards purchased online will be physically mailed. If you need a gift card today, please visit your local Nick and Jake’s!